You spend an incredible amount of time using your feet every day, and if you are suffering from foot and ankle pain, your life can be greatly impacted. It can cause dread and agony when taking the stairs, walking a block to your office, or even driving your car. Foot and ankle pain can stem from a variety of different causes, but Partners in Physical Therapy can help get you back on track. 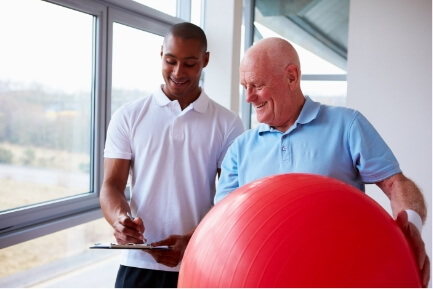 Physical therapy has been proven to help with the rehabilitation of injured extremities, in addition to providing relief for both acute and chronic pain. Contact us today to speak with one of our licensed physical therapists and learn more about how our services can benefit you! Whether you are suffering from an acute injury or chronic condition in your foot or ankle, you can find relief at Partners in Physical Therapy. Our physical therapists will conduct a thorough examination to confirm what is causing your pain, and then they will create a personalized treatment plan for you specifically. If you sustained an acute injury, it is likely that our physical therapists will prescribe a RICE treatment (rest, ice, compression, and elevation) for the first few days to make sure that any swelling decreases. Don’t let foot and ankle pain slow you down! Our physical therapy practice will help you dictate your own mobility, comfort, and overall function, free from the limitations of pain. Contact Partners in Physical Therapy today at Lake Charles, LA center to schedule your appointment. We’ll help you get back on your feet in no time!